And you became imitators of us and of the Lord, for in spite of persecution you received the word with joy inspired by the Holy Spirit, so that you became an example to all the believers in Macedonia and in Achaia. There is a burden that comes with being a Christian leader (or as the Spiderman comics would put it: with great power comes great responsibility). Just as in the day of Paul, we, as Christians, are expected to imitate the Lord through our actions, so that we can be examples to all other people. The great challenge with this responsibility comes with the temptation to use the power we have been given for ourselves, rather than for God’s kingdom. For too many years some Christians leaders and preachers have tended to elevate their ministry to such a staggering degree that they become more important than the living God whom they claim to follow. I have seen churches that have no images of Christ displayed in the sanctuary, no cross to remember the great act of the incarnate God, and nothing else that would lead anyone to know that the gathered people were Christians. I remember visiting a church when I lived in Harrisonburg, Virginia that looked like a music venue and by the time the service was over I realized that the triune God was not mentioned even once. It seemed that doing church, for them, was more about living a good life based on the standards imposed by the leaders rather than a profound commitment to discover the living God and follow Christ. 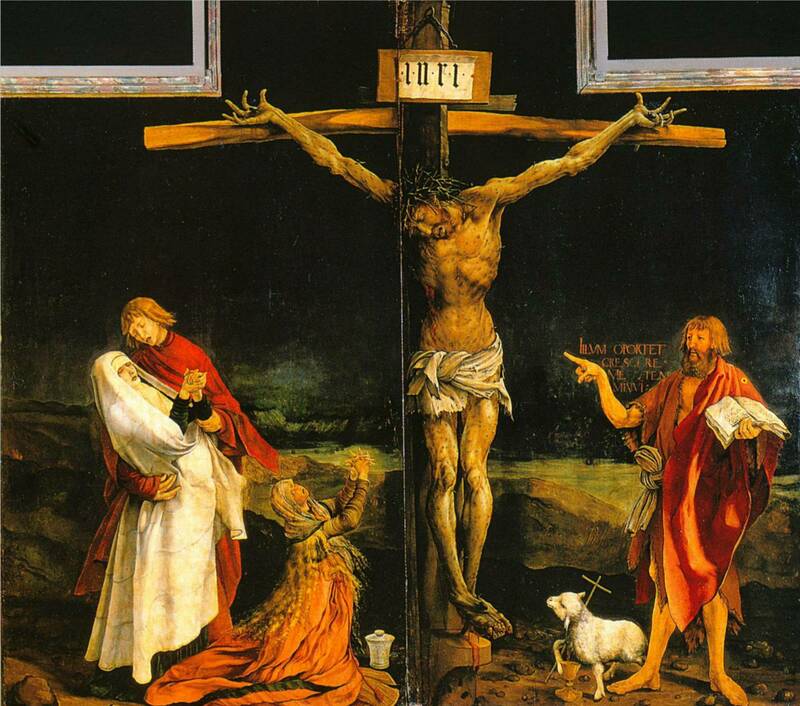 When the great theologian Karl Barth was a pastor in Basel, Switzerland he discovered Matthias Grunewald’s depiction of the crucifixion and kept a copy of it on his desk throughout his ministry, from his days as a young pastor until his death. Barth believed the work of art was a worthy metaphor for Christians; John the Baptist stands off to the side holding an open bible while pointing away from himself to Christ on the cross. Christians, at their best, are called to be like John and point away from themselves to the incredible Christ who is the only one worthy of our imitation. We point toward Christ through our words and actions, while also remembering the distance between us and Christ; we will never live exactly like him, but we nevertheless strive to imitate him in our living. When I learned about Barth’s affection for the Grunewald piece, I made sure to find a copy for my office. It is the first thing I see when someone enters my office, and the last thing I see before heading to the sanctuary for worship. It hangs at eye sight right next to the door as a constant reminder about my responsibility to point toward Christ and not myself. How do you imitate the Lord in your daily life? Where in your life can you point to Christ so that others can come to know the love of God? Thomas said to him, “Lord, we do not know where you are going. How can we know the way?” Jesus said to him, “I am the way, and the truth, and the life. No one comes to the Father except through me. First of all, then, I urge that supplications, prayers, intercessions, and thanksgivings be made for everyone, for kings and all who are in high positions, so that we may lead a quiet and peaceable life in all godliness and dignity. This is right and is acceptable in the sight of God our Savior, who desires everyone to be saved and to come to the knowledge of truth. I give you a new commandment, that you love one another. Just as I have loved you, you should also love one another. John 14.5-6: Thomas said to him, “Lord, we do not know where you are going. 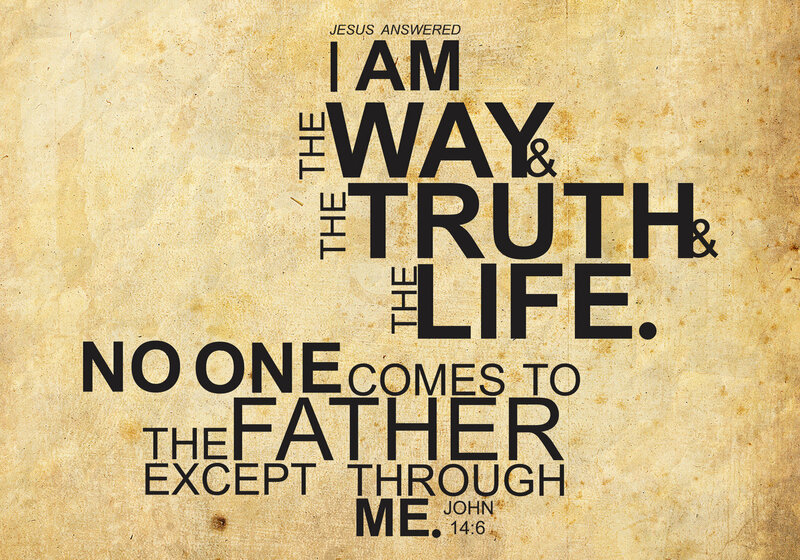 How can we know the way?” Jesus said to him, “I am the way, and the truth, and the life. No one comes to the Father except through me. For nearly an entire semester I sat in the front row for my class on “Hindu Traditions” at JMU. My professor was a practicing Hindu and regularly lectured from the front, pacing back and forth as we covered history, beliefs, and habits. Dr. Mittal was remarkably passionate about the subject and as we came to the conclusion of the class, I was thankful for his ability to open my eyes to the wonders of a great religion. The disciple Thomas, ever concerned about what Jesus is really saying, questioned his Lord about the truth of where they were going. And Jesus replied, “I am the way, and the truth, and the life. No one comes to the Father except through me.” Jesus does not know the way, truth, and life; rather, he is all of these. And he is not merely a way, but THE way. Jesus is the unique and visible manifestation of God on earth. From the beginning of the church, this statement has been axiomatic for Christianity. If you desire to know God, to find salvation, and to experience grace in your life, you can only find it through Jesus Christ; hence the strong push for evangelism over the last 2 millennia. Not only did Jesus command the disciples to go to all the nations baptizing everyone in the name of the Father and the Son and the Holy Spirit, but we have been steeped in our tradition that affirms salvation can only come through Jesus Christ. In the first few centuries the church agreed that outside of the church, there is no salvation. In order to experience the forgiving pardon of God you had to be taught the ways of the church, engage in acts of kindness and mercy, and be baptized in order to find your identity within the body of Christ. Even with the rise of other religions, and the interaction between them and Christianity, we affirm that the only way to God is through his Son, our Lord, Jesus Christ. I remember feeling so uncomfortable that day in class because of what my fellow student had said to Dr. Mittal. In the moment I thought she just wanted to frustrate him, or illicit some sort of reaction from him. However, perhaps she was being remarkably genuine, concerned about his salvation, and wanted to know why he would continue on a path that would separate him from God. After all, no one can come to the Father except through Jesus Christ. Karl Barth, the dialectic theologian of the 20th century (who I have mentioned a number of times from the pulpit) was often vague regarding his understanding of the totality of salvation. In his lectures and publications there are examples where he almost affirms a universalist understanding of God’s redemptive work. He dances around the claim that all have been, and will be, saved through Christ’s death and resurrection. The question of universalism is remarkably relevant considering the great range of thought regarding faith and discipleship. Our world is becoming more and more diverse, with differing understandings of Christianity springing up all over the world. Was Christ’s sacrifice on the cross only for those who believe in him, or was it for all of creation? We might think of the often quoted John 3.16: “For God so loved the world that he gave his only begotten Son” or the number of instances in scripture where individuals outside the realm of Israel (such as Rahab from Jericho, Nebuchadnezzar from Babylon, and the unnamed centurion who declared, “Truly this man was God’s Son” at the moment Christ died on the cross) who played remarkable roles in the story of God’s interaction with God’s people. We might think of the fact that humankind was created in the image of God. Every individual has been molded from God’s image and given life through the Spirit regardless of their religious affiliation. If we believe that nothing can ever separate us from the love of God in Jesus Christ, neither death, nor life, nor angels, nor rulers, not things present, nor things to comes, nor powers, nor height, nor depth, nor anything else in all creation, then God’s mercy truly knows no bounds. God’s love is so magnificent and unconditional that it extends not only to all of us gathered here, but to all creation. God’s love has been poured out through Christ’s death and resurrection onto the church, and to everyone outside of the church. Jews, Muslims, Christians, Atheists, Agnostics, and everyone in between have been caught up in God’s great cosmic victory over death. 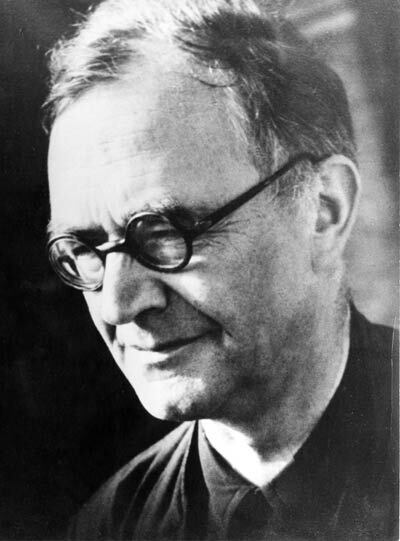 In Barth’s response to the young theologian, he deliberately avoided answering the specific question, yet he embodied the kind of hope that all Christians should have; that God’s love is so powerful that he came to die for us, while we were yet sinners; that God’s mercy is so strong that nothing will ever separate us from God; and that God’s grace is so abundant that heaven will be crowded. After all, “This is right and acceptable in the sight of God our Savior, who desires everyone to be saved.” Amen. 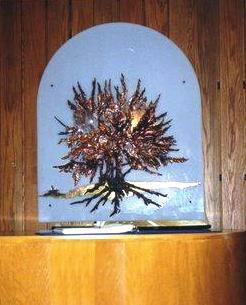 During my final year of seminary I served as an on-call chaplain at Duke University hospital. We were required to stay on the hospital property for 24 hours attending the numerous pages, calls, and deaths that occurred throughout our shift. One night, after sitting with numerous families who had just learned that someone had died, after talking with patients just diagnosed with inoperable cancer, after pacing up and down the sterile halls for hours, I found myself in the chapel. A tiny room, no bigger than our narthex, it contained numerous religious materials, a piano, an altar, and a notebook for prayers. Whenever I had a moment I would stop in and pray the prayers out loud, and most of the time it was empty. It became a place of solace for me, a space where I could remove myself from the chaos of the hospital. Every once and awhile I would encounter a Muslim praying on his knees in the corner. We would always politely nod toward one another and continue on with our religious responsibilities. But that night, the night that felt like it would never end, everything changed. I was standing at the altar, while my companion prayed in the corner, we both spoke in a whisper so as to not disturb the other, when all of the sudden he stopped, stood up, and walked to my side. “Let us pray together” he said. And without discussing the details, without organizing our thoughts, without debating the theological differences and implications, we both began to pray, shoulder to shoulder, for the people we were serving. When our prayers naturally came to their conclusion, we met eye to eye, nodded, and went on our separate ways. In compiling all of the questions for this sermon series, “What happens to people of other faiths?” appeared more than any other. Without a doubt, the existence of and interactions with other religions is, perhaps, the most significant challenge to, and opportunity for, the Christian church today. Moreover, the rise of atheism further complicates the picture into a varied mosaic whereby the church is challenged to address both those who do not believe and those who do believe, but who believe differently from us. Jesus commands all of us to love one another, this is the new commandment. If there is any command from Jesus to obey in our lives regarding other faiths it is this: love one another. In my own life God has used a number of people from outside the church to help teach me about what it means to be a discipleship of Jesus Christ: questions from my secular friends about why I believe, the love expressed by indigenous Mayan women in the highlands of Guatemala, one of the Muslim doctors at Duke Hospital who met me in the depth of suffering for prayer. What has been revealed for us through Christ’s life, death, and resurrection is that God desire us to be in relationship with others. This means that we have to be willing to be vulnerable with people different from us, people whose beliefs contradict our own, and people with no beliefs at all. We are called to love one another just as God has loved us. We are not here just to minister to other Christians, but to the whole world. We are called to seek justice and mercy in the world for ALL who are oppressed regardless of age, race, sexual orientation, gender, economic status, and religious affiliation. And so, in the great adapted words of John Wesley: Though we may not think alike, though our differences of opinion and religious understanding may vary considerably, though we may not agree on the scope of salvation, though we may not have the same opinion about the role that Jesus plays in the cosmic victory over death, may we not love alike? Without all doubt, we may. Amen. In 1962 one of the greatest theological minds of the 20th century visited the United States on a lecture tour. 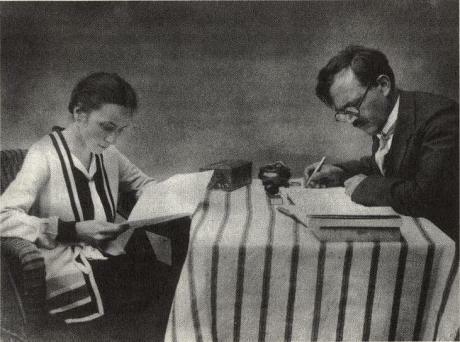 Karl Barth was a product of Western Theology who actively spoke against the Nazi regime rejecting their un-Christian allegiance to Adolf Hitler. His writing and influence spread throughout the world to a degree beyond his expectation. So during the early 1960’s Barth found himself in his later years, touring around the American landscape lecturing to young, and old, Christians about the importance of God being God. Karl Barth is my theological hero – his books line my shelves and I believe he put forth a remarkable understanding of scripture. Karl Barth, intellectual and as difficult to understand as any theologian I’ve ever read, lectured at Princeton, the University of Chicago, and Union Theological Seminary. After one such lecture, no doubt filled with theologisms beyond the capacity of comprehension, a young man bravely decided to ask a question. Now, at the time, evangelical theology was beginning to take off in the United States. Churches pushed for “personal relationships with Jesus Christ.” Altar calls were all the rage. And everyone wanted to know when you got saved. The young man, obviously caught up with the personal stories of individuals who accepted Jesus Christ in their hearts, moments where folk learned that they were saved, wanted to know when Barth had discovered this momentous occasion in his own life. After responding to questions about the ineffability of God, the diminishing role of the third member of the Trinity, and the self unveiling to humanity of the God who cannot be discovered by humanity simply through its own intuition, Barth was finally asked a question with a simple answer. 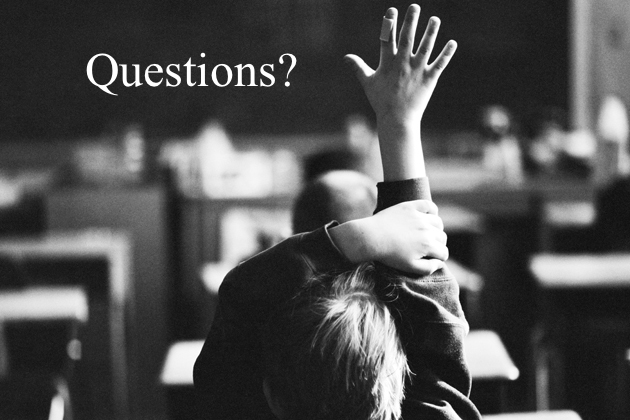 “How will I know when I’m saved?” A question I have heard time and time again. When will I know, with assurance, that heaven is my everlasting reward? How will I be able to tell that I have been saved and what happens if I ever have doubts later on, will I still go to heaven? In many churches, being “saved” is equated with a moment when an individual accepts Jesus Christ as their “personal Lord and Savior.” We look at it as a check-off list, an accomplishment to be met in order to go to heaven. A time when they let their old self die, in order to be clothed in Christ forevermore. This often takes form in an altar call, that moment after the sermon when a preacher stands right where I am, calling out to the congregation, calling out for those who feel the call of God on their lives to come forward during the final hymn to give their lives to Jesus Christ. Sometimes it takes place in baptism, when water is used to cleanse a child or an adult from their broken ways and save them. Sometimes it takes place in the bread and wine of communion, nourishing someone’s faith in a way previously unexperienced. In many places, being “saved” like this is worth celebrating as a rebirth, a reawakening of the soul, a definitive shift in the life of a Christian. Some of my friends celebrate their “saved” birthday every year with a cake and presents. And even though some of those people are dear to me, and even though I can trace back to a moment in my life where I committed my life to Christ, I still wonder about what it really means to be saved. This is what I do know: The saving of anyone is something which is not within our power, but only of God. No one can be saved – by virtue of what he/she can do. Everyone can be saved — by virtue of what God can do. 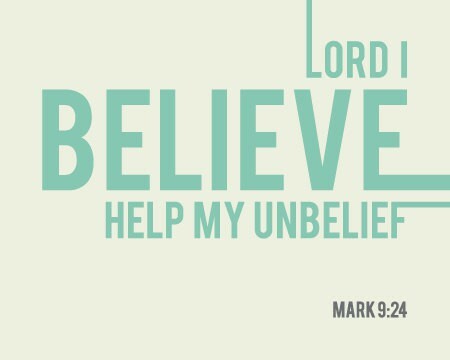 I believe; help my unbelief! The father’s reply demonstrates for us the nature of faith. It seems so paradoxical and contradictory, yet, how often has that father’s cry been the prayer on our lips? The father has shown a bit of faith by approaching Jesus in the first place, yet the move stemmed from desperation rather than confidence; “if you can do anything” shows his doubt and his faith at the same moment. The father holds his disbelief and faith in tandem with one another. Haven’t we all had moments where, like the father, we can hold both our faith and disbelief at the same time? Periods in our life where we know that God loves us, yet our doubts begin to percolate at the same time. Perhaps confronted with a disappointment we call out to God begging to know his ways, wondering if he’s even listening at all, yet we still call out to God. Like the father we take our burdens to God, we have enough faith to go that far, faith the size of a mustard seed, but then we struggle and limp along unsure of what God can do. Prayer does not work like magic. Prayer is not a manipulation of God to get what we want. God does not simply grant all of our requests when we kneel and bow before him. That puts far too much power on our side of the equation. Like “knowing” we are saved because “we” have accepted Christ, it puts the burden on us to accomplish something that we cannot do on our own. If salvation can be decided on our acceptance of Christ as Lord, then God would never have had to come in the form of flesh, die on the cross, and then be raised from the dead. Prayer is more like wrestling alone in the middle of the night with a God who refuses to let go. God is the one who saves us through Jesus Christ, God is the one who healed that father’s son through Jesus Christ. Prayer and accepting Christ is not magic, yet we are always called to pray, like that father, for more faith. We pray for more faith as trust in God’s love, grace, and power so that God in Christ can work his healing power and presence through Christ in our lives. The story of the man bringing his son to Christ is powerful for all of us gathered here, because like that father we are fallen people incapable to saving ourselves and our loved ones. This story offers us a great glimpse of God’s glory: All things are possible to those who believe. But even greater than that is the fact that beyond our faith or prayers, God is the source of healing and salvation in our lives. Jesus is the one who calls us to brings our burdens to him, we are not left alone to try and save ourselves. So, how do we know when we are saved? What does it mean to be saved? Are we allowed to doubt? I like Barth’s answer to that young man, “I was saved 2,000 years ago on the cross.” I like his answer because its true and it puts the power of salvation back on God’s side of the equation. We cannot save ourselves by virtue of our own devices, but it is only God who can save us. Yet, there is something remarkably powerful about accepting Christ at the same time. Barth’s response is appropriate, but it still misses a fundamental element of what it means to follow Christ. If being “saved” can be compartmentalized to that moment on a cross 2,000 years ago, then there is little need for us to follow Jesus in the present. Without a commitment to change our lives in accordance with the kingdom, discipleship falls to pieces. When we come to know Jesus Christ in our hearts, when we have that moment, whether its at the altar during one of our favorite hymns, or in the water of baptism, perhaps in the wine and bread of communion, its not so much they we are accepting God, but more the fact that for the first time we are realizing that God has had us the whole time. Faith, at its purest and deepest form, is not about “letting God into your heart” but discovering that God has been there the whole time. Being saved is not about making a choice to become a Christian, but a willingness to let God be the Lord of our lives, and not the other way around. Doubts are not something to be feared and dismissed, but to be embraced and wrestled with. Even after John Wesley felt the assurance of God’s love in his life when his heart was strangely warmed, his doubts crept back in within days. Thats exactly why we need elements of worship such as baptism and communion. We need patterns and practices that remind us of that great event where Christ died and was risen, that incredible moment where we were saved, but we also need food and habits for our faith journeys. We need to know that we have been saved by grace through faith, not by our own doing, but by the gift of God. Yet at the same time we have to hold the mystery of salvation like the father did, we have to recognize that we continually need Christ to be the one from whom all blessings flow, we need Christ to hear our prayers and grow our faith, we need Christ to be our Lord, not just in the past but in every moment of our lives. You have been saved, and are continuing to be saved everyday. “I believe; help my unbelief!” is our confession of faith in the God who continues to breathe new life and new faith into all of us. In a few moments we will celebrate the two great sacraments of our church. Hattie Myles Markham will be brought forth to the water to be baptized in the name of the Father, and the Son, and the Holy Spirit. She will be incorporated into God’s kingdom through the redemptive power of the trinity. And likewise all of us will then be invited to feast at Christ’s table letting the bread and the wine nourish our souls. Here we find the gospel, in baptism and communion we find the good news of God in the world. No matter what you do, God will never love you any more, and no matter what you do God will never love you any less. God so loved the world that he gave his only son so that everyone who believes in him might not perish but have eternal life. Nothing can ever separate you from the love of God in Jesus Christ. Jesus Christ mounted the hard wood of the cross to save you and me from having to try and save ourselves. Salvation is here. Thanks be to God.